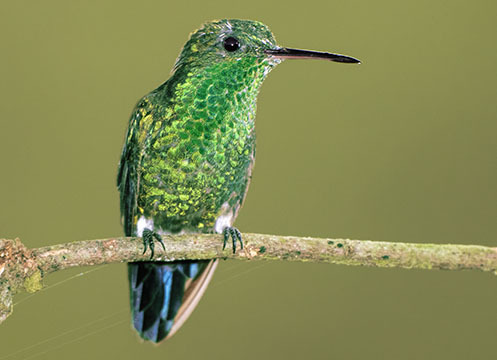 Steely-vented hummingbirds are small, quick, and mostly glittery green, with a bluish tail. 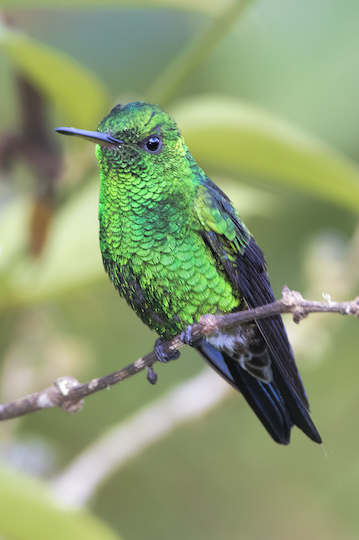 This bird was photographed near Chicoral Park (Bitaco River Forest Reserve) in the Western Andes above Cali, Colombia. 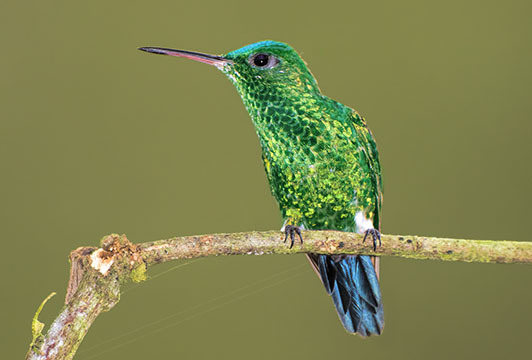 It is not in perfect plumage but was still quite striking as it fed on Verbena blossoms with booted racket-tails.